Cyclists yesterday welcomed the rejection of the planned Tralee to Dingle road upgrade using a new design of segregated cycling path. 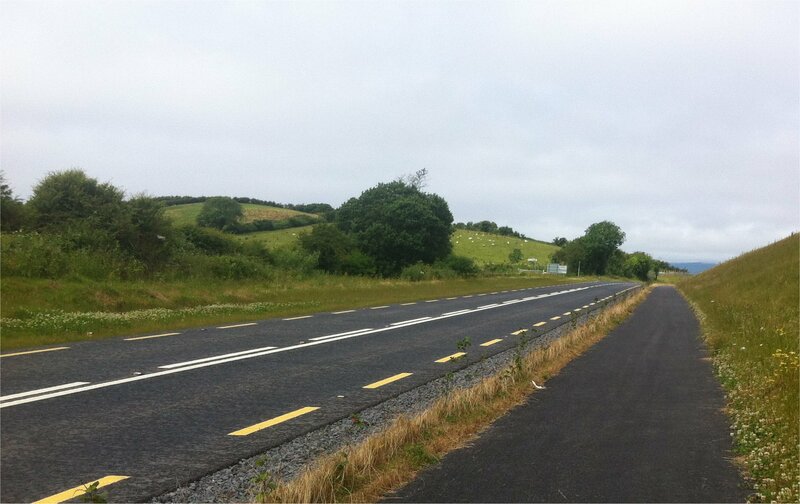 Unlike the Great Western Greenway in Co Mayo (a road-side section pictured, right) which is mostly away from the main road, the Co Kerry project would have included the cycle path directly alongside the N86 road for 28km. Cyclist.ie, the national cycling lobby, said that An Bord Pleanala’s rejection of planning permission for the N86 upgrade means the pilot design which is planned for use on other road schemes should be reviewed. The cycling body said that the designers missed the fact that an off-road cycle route would be “a tourist attraction in itself” and be more attractive than a design which puts cyclists meters from high-speed traffic for the full length of the road. It said a possible route using the abandoned Tralee-Dingle Railway alignment and adjacent minor roads should have been looked at. Recreational cyclists are “not just looking for a strip of tarmac that is ‘free’ of cars” but for a “experience” away from the disturbances of high-speed traffic Cyclist.ie said. National Roads Authority and Kerry County Council told The Irish Times last week of their surprise and confusion for the rejection of their scheme. An Bord Pleanala, however outlined its “serious concerns” about the cycling elements of the project last November in a letter to the council. It also detailed these concerns — again, mainly related to the affect on the scenic landscape — in its published decision to reject planning permission last week. An Bord Pleanala said: “The Board considered that the road improvement scheme, as proposed, would represent an excessive intervention into the landscape, not commensurate with the single carriageway route being delivered, would have an unacceptable detrimental impact on the visual amenities and landscape character of the area, and would seriously detract from the tourism value and amenities of the area. The proposed development would, therefore, be contrary to the proper planning and sustainable development of the area. It was reported that the NRA said that it is not possible under new standards to design a road that could be narrower and include provision for cyclists — however, there is no evidence in the planning documents that the planning authority suggested the idea of cyclist provision on a narrower road.